The absence of playable females in Aliens: Colonial Marines has at least one gamer very unhappy. Vasquez, Ferro and Dietrich were all state of the badass art in the 1986 flick Aliens, my favorite of the Alien franchise, but you won't be able to play anyone quite like them in the upcoming Aliens: Colonial Marines. Gearbox has apparently decided to make all playable characters exclusively male, and that just doesn't sit right with a gamer by the name of Melissa K. So she did what people do when they're aggrieved on the internet: she started a petition. "While we fully support Gearbox, we would like to request the inclusion of playable females. The Aliens franchise is dominated by strong females such as Ripley, Vasquez, Ferro, Dietrich and most importantly, The Queen," the petition says. "There is roughly 5-6 months before the game goes Gold and releases February 12th, 2013. We believe Aliens is the perfect starting point for developers to start including playable females in more multiplayer shooters." "There are many females that enjoy playing video games and are fans of the films who are tired of playing as a male all the time," it continues. "Let's let Gearbox Software see how important this is to the Aliens franchise." I'm not generally a fan of making demands of game developers (or of internet petitions, for that matter) but if the plan is to make customizable characters for online play, then why not include women too? It seems like kind of a no-brainer given the subject material, and it actually has me wondering if maybe there was a misunderstanding somewhere along the line. After all, if females were rocking smartguns and driving dropships 25 years ago, why would Gearbox exclude them now? The petition is already well over its goal of 1000 signatures, but if you want to add your voice to the choir of people who only need to know one thing, you may do so at ipetitions.com. Unfortunately by this point its probably too late to add something like that, at least for the release. Still though, its strange they didn't add female marines. At least for the multi, though I suppose its possible they might do the same thing the last avp did... well a similar thing. Not have your char talk at all and at the end you find out your a women or a black dude. I would sign it if I could ever be arsed signing petitions. There is no reason why there should not be any playable female characters, but at the same time, I won't really care if there isn't. I don't care I think I've become burned out on sexist stuff. I just really don't care anymore. It sad becuase I use to belivie men and women deserved equal rights not I really just tired of hearing about it. 5 months until release is definitely too soon to add new characters sadly, at least based off my knowledge about how video game production works. They could certainly patch them in post launch however. That said yes it is pretty odd they omitted them to begin with, if their aren't any in the campaign I will be downright shocked as some of the most iconic characters of the Aliens franchise are certainly female. Signed. You see, unlike many other initiatives towards gender equality in video games, this is something that Gearbox can do right now to advance the medium. There's no downside to including female playable characters in the game. There's no downside to signing this petition. So why don't you go sign it as well? Yes they have the obligatory Alien's female marine in the single and 4 player co-op campaign which is playable. The complaints are over the competitive multiplayer not having a female marine choice. Though I wonder if there is even any character customization in the mp anyway. And even then the competitive multiplayer is hardly making any difference to the story and infact pretty much is showing the usual Marine vs Alien fight where men are usually the casualties. I don't mean to sound nit-picky but in most of the Aliens films don't all the men die and the main female marine survives? There's hardly any complaints about that. It's definitely a very odd omission. The female marines from Aliens were freaking badass. I agree with this statement. 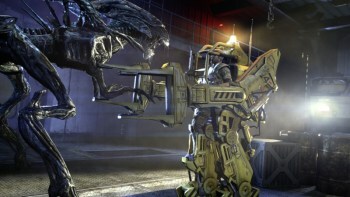 They can keep remaking games with Marines like those from Aliens but it takes a lot more than pulse rifles, smart guns, clunky computer consoles and cursing to emulate what made that film one of my favorites since I was a kid. aside form the fact that every game should have female avatars for MP, this is especially bad since this franchise did a good job in having strong females. Talk about crappy reporting and stupid people in general. Go to the Aliens Colonial Marines website (http://www.sega.com/alienscolonialmarines/) and scroll down there will be a picture of 4 marines available for preorder one of them is distinctly FEMALE. This is not new, its been up for months now, instead of accusing a company of sexism do some research and find true answers. Went. Confirmed. From the official site, it certainly looks like there are playable female characters in the customization roster. Either the OP is sadly misinformed or the "Additional Marine Customization" picture is a lie. Don't worry about it, you'll get a playable female in day 1 DLC or something. I don't see anything on Gearbox's website that shows any of the MP avatars, much less anything that would indicate that there are only male choices. Sorry to tell you but this complaint comes from a video posted almost a month ago during a Live Chat with Brian Burleson, Producer at GBX, during which he was asked will there be an option to play as a FEMALE MARINE to which he responds no you won't (although he responds there will be female characters in the game). I'm right there with you. It's become less gender equality and more gender pandering at this point. No one can lift a finger anymore without the sexism debate going off, and even if it is justified (though this doesn't seem all that big of a deal. They're marines, marines are mostly guys. Chill) it just happens so much that it's turning into a repetitious cycle. All the more power to them if they get girls in their game, though. I'm not against that. Just seems silly to have a petition over is all. In my experience, majority of people who want to play a female character are generally male. Which is part of the reason why whenever I see gender equality arguments for things like this I can't help but feel that it's a tad silly. I dunno, neither the question nor Burleson's answer specifically refer to the MP. He could've been talking about the SP campaign, which has a male protagonist. If it wasn't the Alien franchise, which has largely involved strong female characters, I wouldn't care one jot; the whole sexism debate has, as others above have stated, just annoyed me. Petitions and moaning won't get more representative females into games. Having people who are actually interested in having females represented well in games on the development teams would go a lot further in achieving those specific goals. As mentioned above, why the hell didn't they think to include females from the off? As also mentioned above, who the hell thinks a petition is going to impress people? Still, least it wasn't a boycott. I see nothing wrong with people wanting to customize more aspects of their character, especially for something so broad as gender. I signed this petition, and honestly, why not. No on eis accusing Gearbox of sexism and they already have the game assets so I see no reason as to not set an example for other companies in including females in their customization. There is literally, nothing that can go wrong by signing this petition, so why not? Signed it. While I am not sure if I use the female marine (probably, knowing myself) and adding one or two addional female characters shouldn't be too hard for Gearbox. I don't see it impossible to happen, even that "close" to release (still several months). So! you are bored with males and yet stereotypical jarheads are interesting? Sounds like equal rights gone mad. As well as Ridley Scott and Joss Whedon (Even though he was involved with Alien Resurrection which never existed). I actually consider them to be EXTREMIST feminists who are always injecting agendas into their work. My dog loves to watch me play video games, I think we should add a canine follower to this game too so that way when my Skipper watches me travel the ingame world he can see someone to relate too. There are many people in this world who enjoy watching video games, there also many pet owners who play video games and have furry companions to guide us as we cross a digital waste land. We must petition Gearbox at once and have them see the error of their ways and add this into their game. "most importantly the QUEEN". Seriously? Thats the best female character? An Alien whos only purpose, of which it is treated as a machine to fulfil, is to reproduce? I dont see that as any commentary on women or anything but hardly what I would call empowerment if your looking for some. Seems a strange ommision really though I can understand not thinking about it considering most shooters have either male only characters or the characters gender is impossible to identify. That is certainly weird. I'd have assumed you'd have a female PC or two floating around. The Alien franchise is kinda famous for having strong women in lead roles. Infact I was kinda hoping that they'd make the protagonist a female so it'd have more of a tie with the actual franchise. Although that's never really going to happen when the objective of the game is to slaughter as many aliens as possible instead of... you know, surviving them. Sticking to the source material doesn't seem to be high on their priorities, beyond slight aesthetics like the blipper etc. I think this game will lose all semblance of the alien franchise after you've murdered your 40th helpless standard xenomorph and faced your second crazy 'we made this because we needed minibosses' alien mutation. As you can probably tell my hopes for this game flew out of the window a while back. I don't understand what Ferro did that made her badass. Either way, I don't see the issue. Nobody complains that women aren't allowed to serve in the front-lines, and I think that's a bigger issue of equality that this. At least in the U.S.
You haven't looked hard. People on this very forum have done so, its actually quite disturbing. And... signed. Definitely right thing to do. I can't believe nobody already thought of this. Plus it's a way for them to atone for the horrendous presentation of women (even if done *sigh* "ironically") that was Duke Nukem Forever. Dammit, Gearbox! When your bosses told you to remove your brains and replace them with your nutsacks during the development of Duke Nukem Forever, they didn't mean PERMANENTLY! In the midst of all the focus on women in videogames, and they elect to leave them out of one of the strongest women-centric series around? Stupid move, Gearbox. Stupid move.